Himachal Pradesh Chief Minister Virbhadra Singh assured to address the issue of the people of the Manali town with National Green Tribunal (NGT) and Government of India. 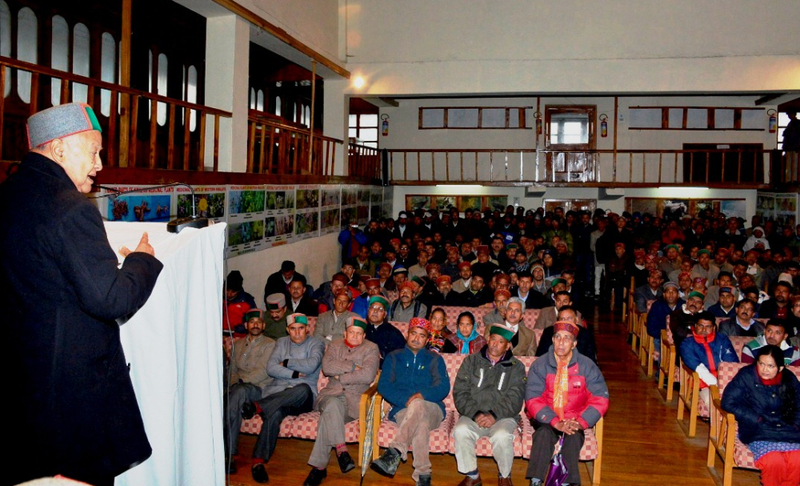 In his address at Manali, today, CM said that environment must be protected at all cost but at the same time the problems of the people should also be taken into consideration while implementing or passing any orders which could prove detrimental to the interests of the people of concerned areas. The Chief Minister also dismissed the feasibility of plying CNG buses to Rohtang and added that the issue of environment isn’t limited till Rohtang pass only, but need to preserve the environment throughout the state.